Freelancing is on the rise as it provides a sense of freedom. People also do freelancing to earn some extra income. Digital nomad lifestyle is trending worldwide and millions of people are searching for freelancing jobs on the internet. Employers also love to hire people online as they have a wide range of choice and also it’s really super fast to hire an efficient candidate online. Freelancing has got its own set of challenges. Freelancers must build their profiles in order to get the work consistently. There are many websites online to find many freelancing jobs. You need to identify your skill set and apply accordingly to the suitable jobs. Here we round up some of the best freelancing websites on the market today. Fiverr is a great place to earn some quick money. Whether you are a graphic designer, iOS programmer, web developer or a musician, Fiverr is the place to go. You can offer services from five dollars to hundreds of dollars. They are many employers on Fiverr who are searching for the talent. There is a lot of competition on Fiverr. But if you are skillful and know how to promote yourself, you’ll have thousands of gigs waiting for you to complete. Fiverr is a great place to start as a freelancer. You can create a page for yourself based on your skills, people approach you if they need your service. You can offer your services for $5 at the beginning to get some good reviews. Upwork (formerly known as oDesk) is probably the biggest freelancing platform on the internet. Whether you are looking for a short-term project or a long-term project, Upwork is always ready with volumes of employers to hire. Upwork is also an excellent platform for experts who are looking for highly paid online jobs. Building a solid profile page is key to get freelancing jobs quickly on Upwork. You need to bid on the projects. Employers interview before they hire you. Guru is another huge freelancing website like Upwork. You can find suitable jobs in various categories. You can check the company’s profile to know the company’s spendings on Guru. There is lots of competition on this platform. You need to strike a balance between your price and skill to get freelancing jobs. Once the clients are satisfied with your work, you may get repeated orders. Toptal is another freelancing platform which has got tons of freelancing work under its belt. Their screening process is very powerful. They only prefer the cream of talent. If you are an expert in the certain field, Toptal is a right place for you because of it’s high compensations. Toptal organizes many community gatherings and tech events for its freelancers. The applicants are rigorously tested. Freelancer is a great place to find beginner freelancing jobs. There are millions of jobs on Freelancer in various fields. You can also compete in the contest with other freelancers to showcase your skills. There is also an hourly option if you do not want to participate in contents. Apply for the jobs which match your skill level. Always meet the deadlines if you want to attract more clients. 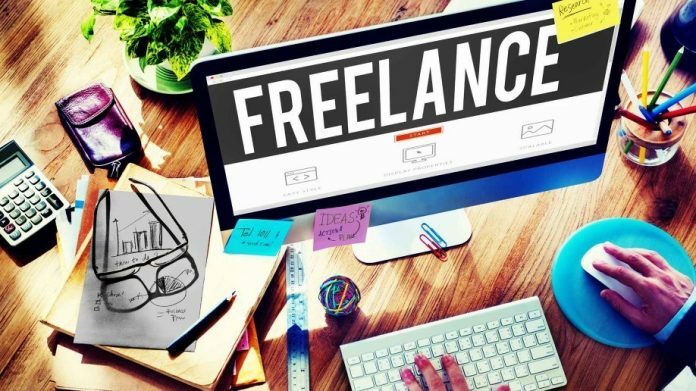 These are some of the best freelancing websites on the internet to find a quick freelancing job. Freelancing is not as easy as it seems. You need work as hard as you 9-5 job. But it provides you a sense of freedom. You can work from anywhere without a boss behind your back. You need to build a solid profile to get the freelancing work consistently. If your clients are happy with your work, they recommend you to their friends. Create the profiles in the above freelancing sites and apply for the jobs which match your skill level. Be careful that you would be able to complete those tasks according to client’s requirements and deadlines. Finding the first freelancing job is a bit challenging. Do your best in the first job to earn an awesome review from the client. Reviews are the meter for your skill on the freelancing websites. Always see that your reviews are positive. Client satisfaction is the only way to beat the competition.